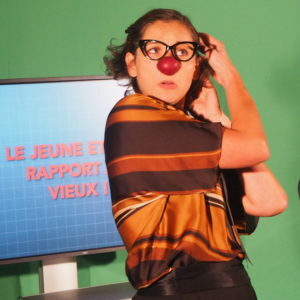 Anissa was trained at the Blanche Salant International Workshop in Paris, and started to evolve and work in the clown field, with Emmanuel Sembély, Vincent Rouche, Anne Cornu, in the Bataclown and at the Jacques Lecoq School. She improves her vocal skills with Nathalie Bonnaud from the ATLA School in Paris and David Goldwoerthy from the Roy Art Theatre. Anissa plays on stage but also in unsual places and for every audience : such as clown in pediatric hospitals for the Theodora Organization or in jail with the Children and Parents organization. in 2015, she got a certification for her work as a social field clown. 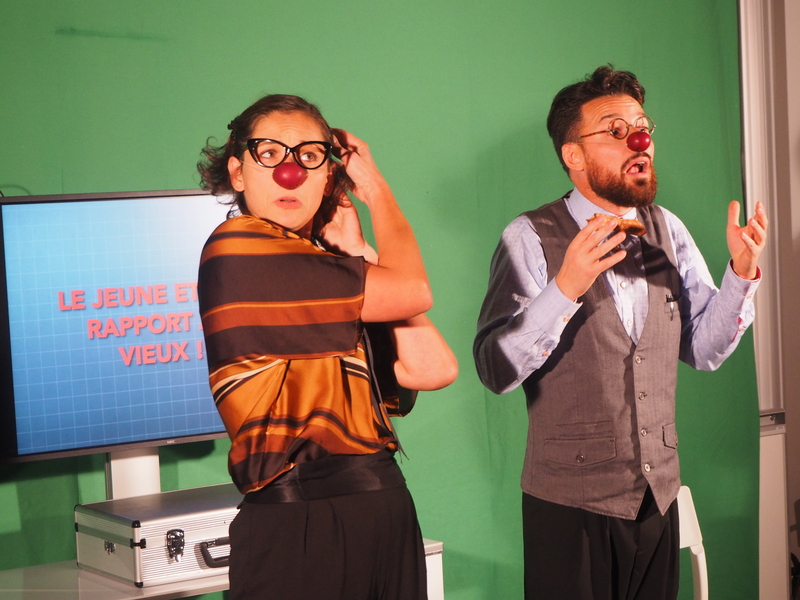 She created a clown solo of experimental sciences for Les Atomes Crochus : for now, 200 shows have been played in France or abroad. She also played as an artist spokeperson in the play L’Affaire 3.14 with the L’Île Logique Troupe, a burlesque play about pure sciences. After having counted vortices in an aquarium for three years – and earning a PhD for that – Paul is now a science communicator. Since 2015, with the association TRACES, he shares his love for scientific research and culture in l’Espace des Sciences Pierre-Gilles de Gennes, a Museum in Paris. 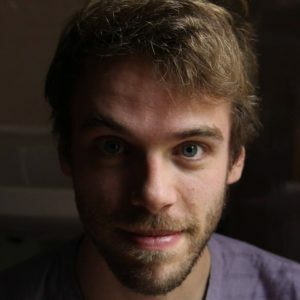 During the project Perform, Paul will be in charge of conducting workshops in the french schools, and help the young students to generate their PERSEIAs. French stage director Bérénice Collet works equally in the theatre and opera fields. She is also involved in Traces, an organisation melting science and arts together. In the science field, she staged Le Système périodique, by Primo Levi, a book about his life and work as a chemist; L’Ogresse, a tail about sustainable development; De l’experimentation des experiences expérimentales, a clown show. She is now working on her new project about Erythrea and the Erythreans, based on a book written by the french journalist Léonard Vincent, and on refugees’ testimonies escaped from their country. Among her projects, besides her creation about Erythrea, she is working on MUSIC FOR (a little more than) A WHILE (on the sensation of the passing of time in music) with french conductor Nicolas Kruger, and Human Voices, a show melting Poulenc’s La Voix humaine and jazz songs. 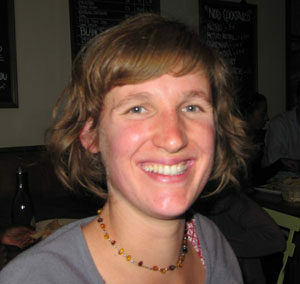 Céline Martineau is Traces’ science communication project manager. She manages projects in science communication gathering different kind of publics, such as elders, disabled people and youngsters. 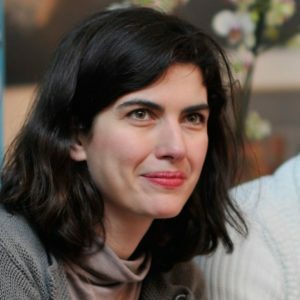 She got a master degree in agronomy and agriculture from Agro Sup Dijon (France), and worked in several organizations dealing with informal education for youngsters and science communication, such as Les Petits Débrouillards and Unis-Cité. She recently co-designed the E-FABRIK’ social inclusion project.